Everyone in the industry has a story about their formative experiences with video games, but Jon-Paul Dyson, the director of the International Center for the History of Electronic Games, was a bit more blunt than most. "Great artists don't borrow. They steal," Dyson said, borrowing a quote from Pablo Picasso as he introduced Wil Wright, Sid Meier, John Romero, and Cliff Bleszinski. Speaking in front of a packed house at GDC, the four industry luminaries shared the games that inspired them as creators, and continue to influence them today. Speaking at a rapid clip, Will Wright recalled getting an Apple II in 1980, and games like FS1 Flight Simulator, Choplifter, and Sundog. "It was almost like the first Grand Theft Auto," Wright recalled, "except you're in a spaceship flying from world to world rather than in a car going around cities." But the game that really jumped out at Wright was 1983's Pinball Construction Set, a virtual Pinball machine creator designed by Bill Budge. To Wright, the three things that were most impressive about Pinball Construction Set were the fact that it was a construction game; the way it required systemic thinking, and its clean, minimalist graphical user interface. The last impressed him enough that he borrowed it for his own games. "Right after I started playing Pinball Construction Set, I started working on the first Sim City for the Commodore 64," Wright said. "And I decided to use as few words as possible in the graphical user interface." By some concidence, Wright lived only a mile away from Budge, and even considered dropping by his house to say hello. They would finally meet years later, after Wright had made his own indelible mark on the industry. Before Sid Meier played 1984's Seven Cities of Gold, he made Floyd of Jungle -- a little-known multiplayer platformer for the Atari 800. Afterward, he said, he made Pirates and Railroad Tycoon. "It really inspired me to take real-life situations and bring them to life on the screen," Meier said. In many ways, Seven Cities of Gold, which cast the player as a 15th-century Spanish explorer, was well ahead of its time, he said. It was one of the first games with randomized maps and an open world, and it mixed genres like exploration and arcade action in a way that still stands out to Meier today. "You were your own boss, and you could travel anywhere in the world and have these cool adventures," he said. "It was certainly an inspiration for me on my next game, which was Pirates." 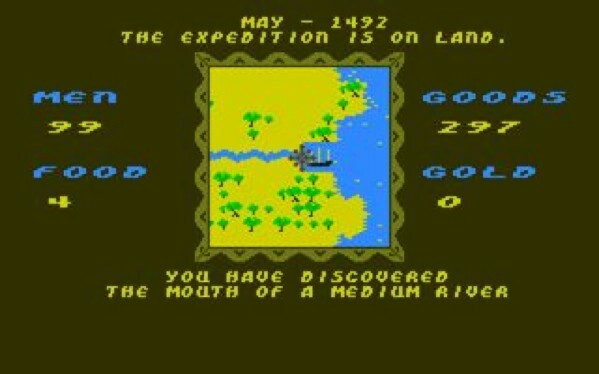 Ultimately, it was Seven Cities of Gold that proved to Meier that games didn't have to follow in the arcade tradition that was so prevalent in 1984. And when it came time to make Pirates, he would combine the same sort of elements of action, roleplaying, adventure, and economics that would make it a classic, and elevate Meier into the pantheon of great designers. They may seem like very different designers, but Cliff Bleszinski's background is startlingly similar to that of Nintendo's Shigeru Miyamoto. Like Miyamoto, Bleszinski spent much of his time outdoors. But where Miyamoto grew up exploring the caves and forests near his home in Japan, Bleszinski was tromping through the cemetaries and old villages of New England. "Mark my words, I will someday get around to making a video game set there. Because it's the perfect setting," Bleszinski said. Perhaps not surprisingly, it was the game drawn from Miyamoto's own formative experience that "ignited" Bleszinski's senses. As a 13-year-old working for a country club in New England, he said, he aware that his "youthful shenanigans" were about to end. But Zelda provided him the outlet that he was looking for. "I was under the belief that the designers didn't want me to find these items. Like I was discovering them for the first time," Bleszinski recalled fondly. More recently, Skyrim has renewed the sense of nostalgia associated with being in the woods and never knowing what around the corner, which he called "pure magic." They tie back to his childhood, he said, the most primal of feelings. In the history of id Software, John Romero said, the only arcade game the office ever had was Pac--Man. For Romero, Pac-Man was a kind of revelation when it first appeared. It was the first game he could think of that didn't involve shooting aliens or racing car. And it was in color. "I only had a paper route so I could play Pac-Man. And spent at least 200 bucks a month playing that game. I got in trouble playing it," Romero said. "I got so good at Pac-Man that I could play without even looking at the first screen. That's a lot of quarters." As with the rest of the games described above, it was ahead of its time. Not only did it put introduce something other than the traditional shooter or racing game, it had a kind of story, Romero said. While it wasn't always obvious, the ghosts were meant to have personalities, and even different A.I. patterns. It would go onto have a substantial influence on the two games that would put Romero on the proverbial map -- Wolfenstein 3D and DOOM. In fact, Wolfenstein has a level intended as an homage to the original game. And anyone who spent their afternoons evading Inky, Blinky, and the rest would feel right at home in the mazes that comprised Castle Wolfenstein and DOOM's Shores of Hell. "I just want to say," Romero finished fondly, "big props to Pac-Man."